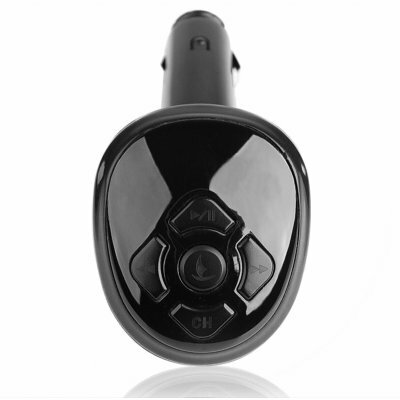 Successfully Added 3 Channel Car MP3 Player - FM Transmitter to your Shopping Cart. FM transmitting car MP3 player for playing MP3 and WMA music directly onto a cars own stereo system without the fuss of wires or expensive adapters. Powered directly from a cars own battery via the cigarette power adapter, this MP3 player will provide hours of musical entertainment on the road. With both a USB port for connecting a USB flash disk containing digital music, and a 3.5mm audio jack for playing from MP3/4 players or other audio equipment, plugging in and playing music is both quick and easy. Chinavasion offers this wholesale priced alternative to an expensive car entertainment center with no MOQ, directly from the Chinese factory to your door with no MOQ and available blind dropshipping..